How to set up multi-tiered commissions(MLM)? 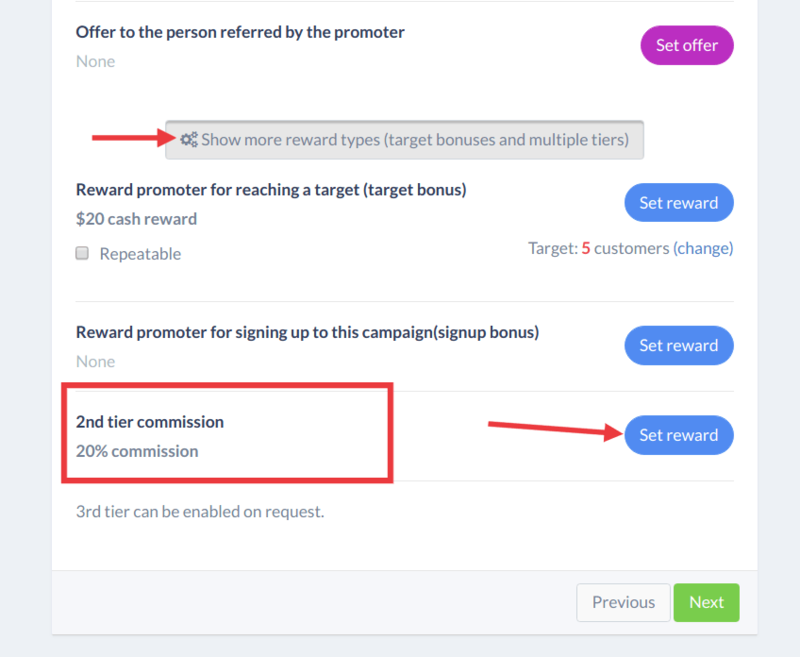 FirstPromoter allows you to set up a multi-level marketing commission structure(limited to 3 tiers to avoid abuse) where an affiliate earns a commission based on what sales or commissions their sub-affiliates generate. This is a great way to quickly grow your affiliate program by motivating affiliates to recruit other affiliates. The more sales their sub-affiliates generate, the more they earn. ex. for a 10% 2nd tier commission and 30% normal commission, the parent affiliate earns $3 for any $100 sale his sub-affiliates generate(10% * $30, where $30 is the commission for the sub-affiliate). Total commissions to be paid: $33. ex. for a 10% override 2nd tier commission and 30% normal commission, the parent affiliate earns $10 for any $100 sale his sub-affiliates generate(10% * $100). Total commissions to be paid: $40. ex. for a 10% net-override 2nd tier commission and 30% normal commission, the parent affiliate earns $7 for any $100 sale his sub-affiliates generate(10% * $70, the sub-affiliate earns $30 and the net sale amount is $100 - $30). Total commissions to be paid: $37. 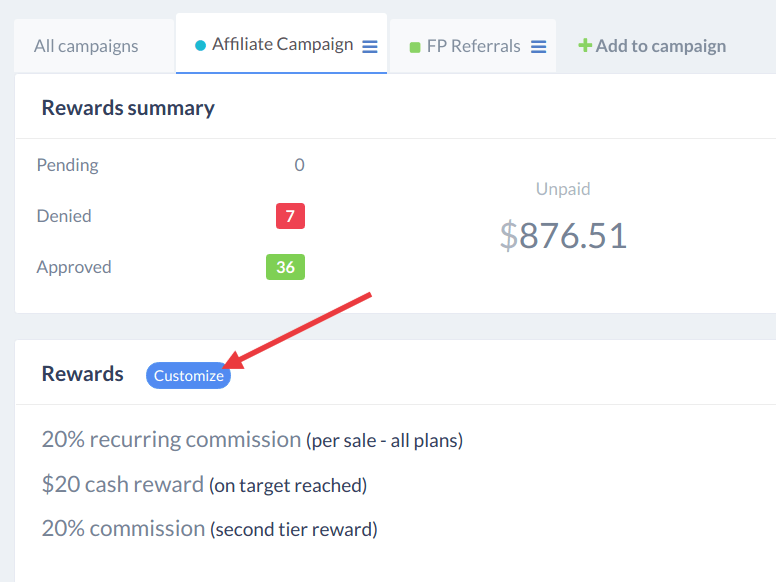 Once you enabled the 2nd tier commission, affiliates will have an extra page on their affiliate dashboard called "Sub-affiliates". From that page they can grab the recruitment link to share it with their friends. 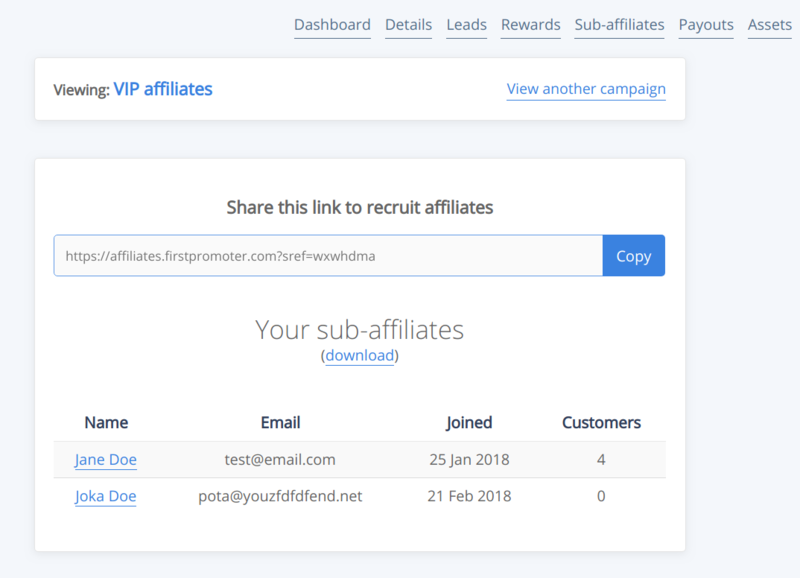 The recruitment link is similar with a referral link, just that it doesn't set a cookie and sends visitors to the affiliate sign up page instead of the company homepage. You can also manage sub-affiliates from your admin dashboard. You can add or remove sub-affiliates for a certain promoter. Go to the parent promoter overview page, scroll down and click on "Sub-affiliates" tab. From that section you can add/remove sub-affiliates and check their performance.